We have deployed a salt system swimming pool, the benefits we feel are more compelling than Chlorine based systems, especially here in Thailand. 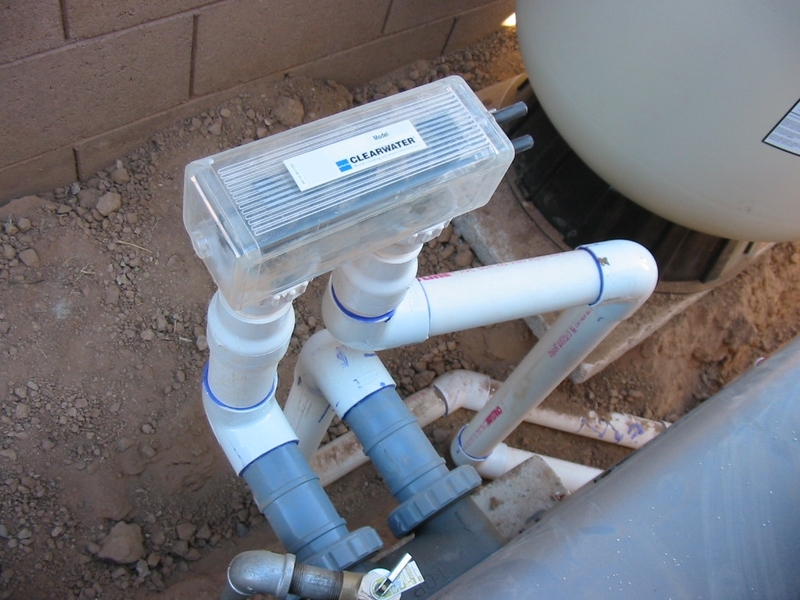 The benefits of salt systems in pools are the convenience and the constant delivery of pure chlorine-based sanitizer. The reduction of irritating chloramides versus traditional chlorinating methods and the “softening” effect of electrolysis reducing dissolved alkali minerals in the water are also perceived as benefits. For some people that have sensitivities to chlorine, these systems may be less offensive. Downsides are initial cost of the system, maintenance, and the cost of replacement cells. Salt is a corrosive; it will damage some metals and some improperly-sealed stone, however as the ideal saline concentration of a salt-chlorinated pool is very low (<3,500ppm, the threshold for human perception of salt by taste; seawater is about ten times this concentration), damage usually occurs due to improperly-maintained pool chemistry or improper maintenance of the electrolytic cell. Pool equipment manufacturers will not warranty stainless steel products damaged by saline pools. Calcium and other alkali precipitate buildup will occur naturally on the cathode plate, and sometimes in the pool itself as “scaling”. Regular maintenance of the cell is necessary; failure to do so will reduce the effectiveness of the cell, which will in turn increase the salinity of the water to corrosive levels (as water flowing through the chlorinator will have salt added but not electrolyzed into chlorine). Certain designs of saline chlorinators use a “reverse-polarity” design that will regularly switch the roles of the two electrodes between anode and cathode, causing this calcium buildup to dissolve off the accumulating electrode. Such systems reduce, but do not eliminate, the need to clean the electrolytic cell and the occurrence of calcium scale in the water. Sodium bromide can be used instead of salt, which produces a bromine pool. The benefits and downsides are the same as those of a salt system. It is not necessary to use a chloride-based acid to balance the pH.